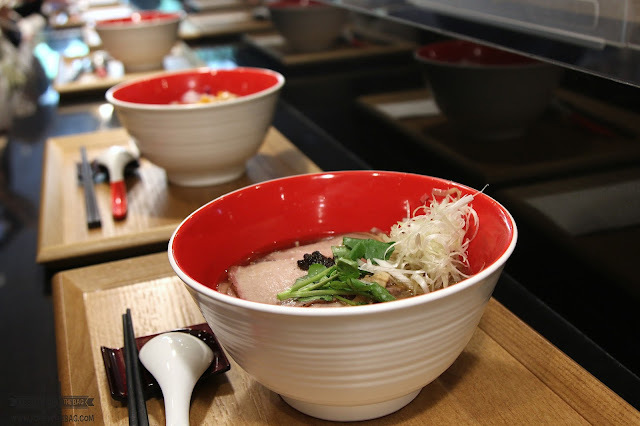 Just when you thought that the ramen craze has died down in Metro Manila, another one just opened to the public today. 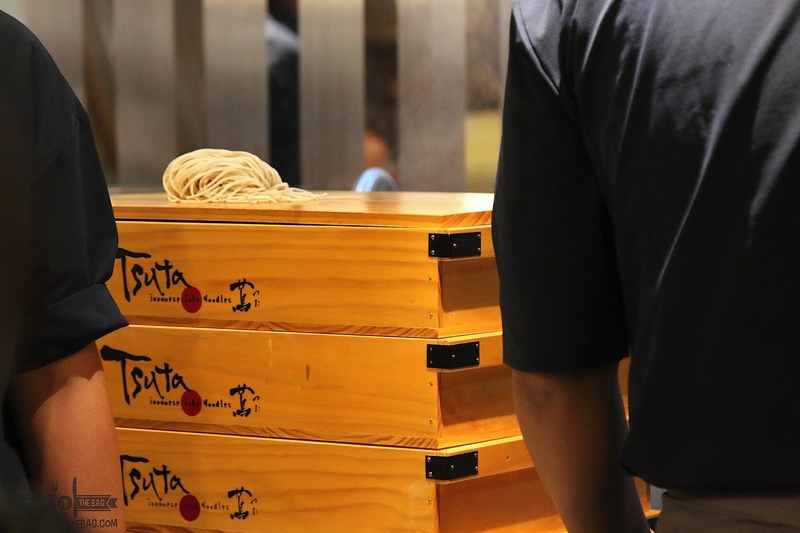 TSUTA RAMEN from Japan has opened its doors to everyone starting DECEMBER 16. 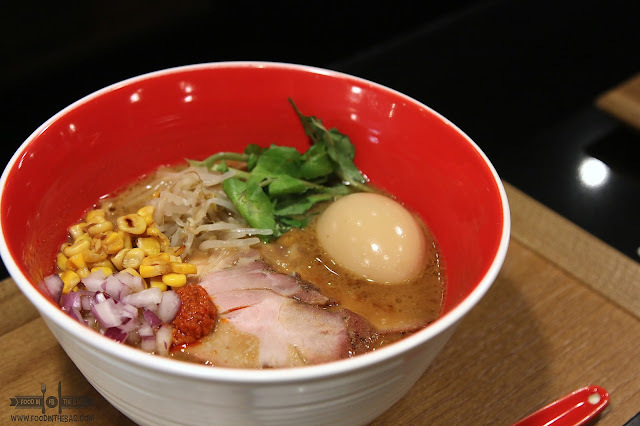 This is no ordinary Japanese Ramen House. It's the first and only one to receive a Michelin Star for consecutive years. As you reach this 48 seater restaurant, you are greeted and advised to order and pay for your meal before you enter. 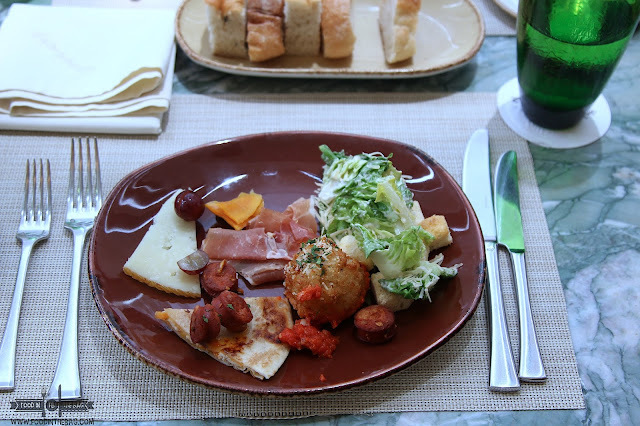 Once seated, the different sets or dishes would be served to you. There are bar seats and couch seats as well. 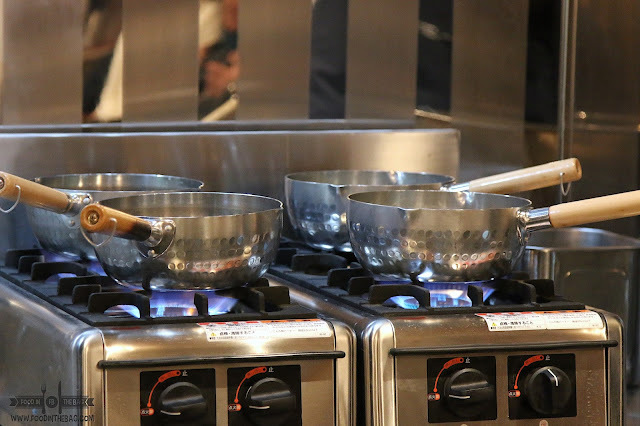 One might like to settle down at the bar so as to witness how the noodles are cooked. Stock wise, it's basically a mixture of three different variants. One is from asari clams, another from imported Japanese fish, and another from whole chicken. 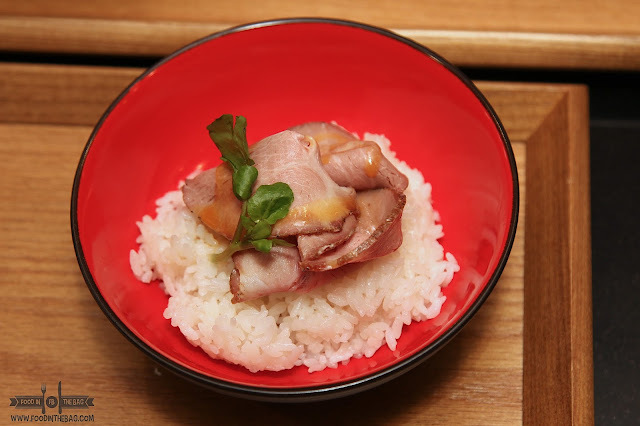 As starters one could go for the ABURI NIKU (130Php). These are charred pork cubes that has an onion sauce. Truthfully, this has a slight salty flavor that reminds me of a tender deep fried pork dish. You also have the option of having them on rice. 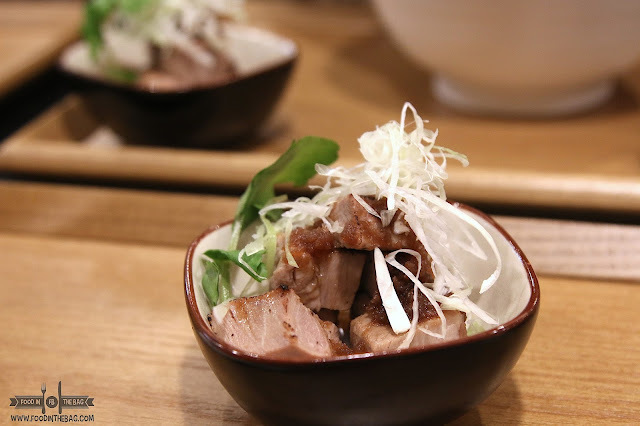 If you like the Char Siu, they have to RO-SU MESHI (170Php). This one is covered with butter sauce. It reminds me of Christmas Ham. 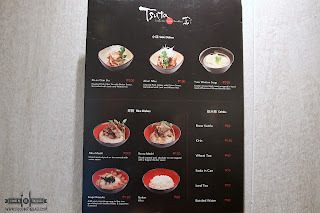 One look at the menu and you might be surprised to find that they only have 3 variants. Each one vary in terms of toppings but basically it all boils down to the basics. 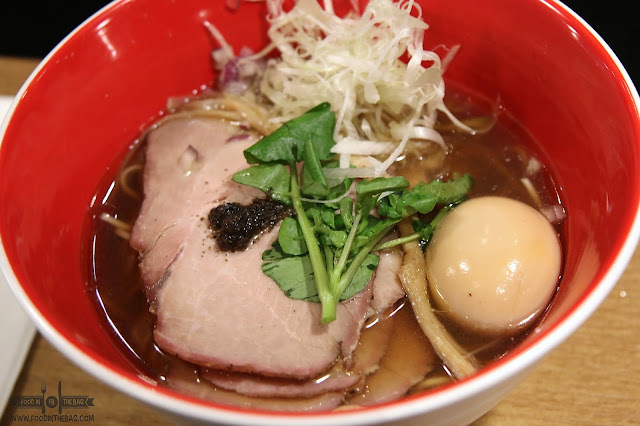 One could go for the SHOYU SOBA, SHIO SOBA, and the MISO SOBA. 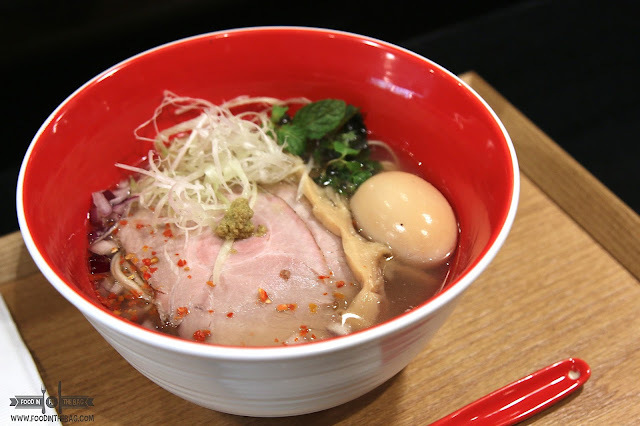 One thing that stands out would be that these ramen have clear broths. 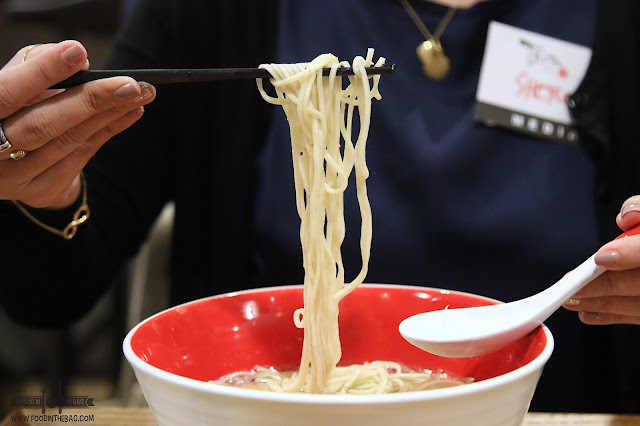 Unlike the ones that we see in the Philippine Market, the soup used in these ramen bowls aren't as heavy or full as the others. Yet, they are still flavorful and worth a try. 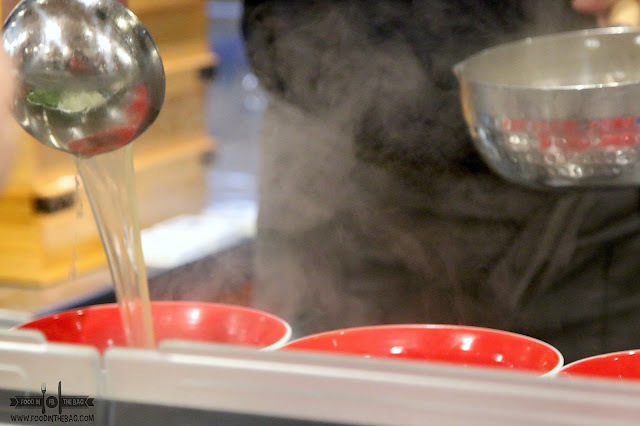 The noodles are cooked to perfection as they are made from the finest ingredients and are cooked in a precise manner. If you have the time, head on over today. The first 100 in line will be able to receive surprises. From unlimited ramen bowls to discounts and what not. 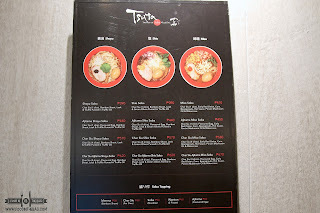 TSUTA RAMEN is located in Bonifacio High Street Central, Taguig, Metro Manila. It will open from 11:30am onwards and until supplies last. The same place where I can find Marugame. I'm excited to try! Haha!